Shipped fast and came 3 days earlier than schduled. Thank you for shopping Pure Lifted on eBay! Arrived earlier than expected! Works great so far! Getting past the monitor came in an over size box with no protection on screen and no bubbles/plastic. Small fist indentation on right and a 1 in slice on left size. This is refurbished at a great price great colors and brightness, works well after the adjustments I had to set up for an Nvida card. It has an adjustable base that raises and lowers and turns. All screen action is crisp and well colored. 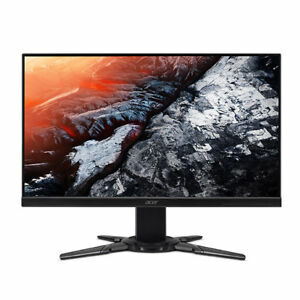 If you are on a budget and want a good monitor with good features this is a smart choice. Got this for my 13 year old sons birthday present for his first gaming PC. He was so happy that he cried. This is a great product at a very affordable price!